Amaze people with seven stunning card tricks! These are all tricks with Aces. As Kings become Aces, Aces become Jokers, and Jokers vanish, it is no wonder why this small collection generates big impact. Each trick is performed and explained, plus a bonus section includes three spectator performances. 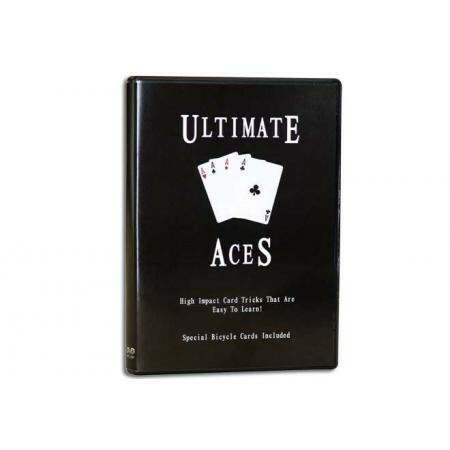 Special cards needed are included with this DVD.